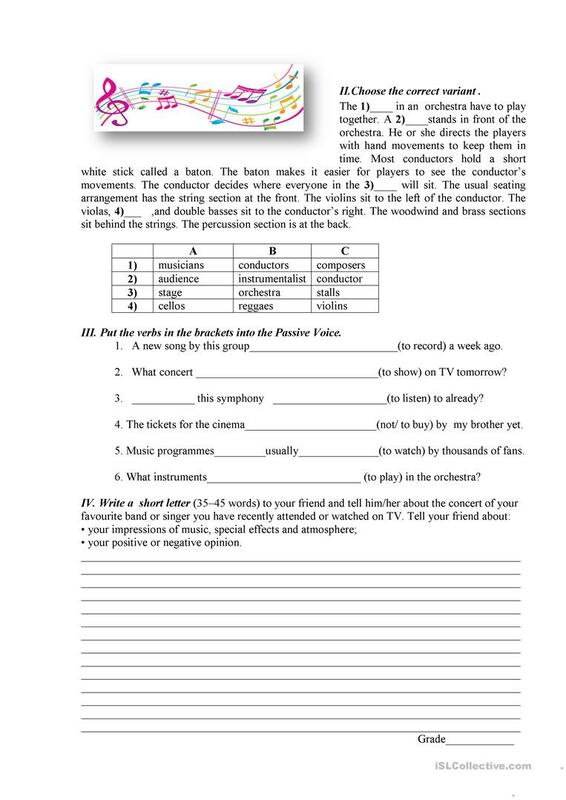 Reading comprehension and answering the questions to the text;practising Passive Voice, writing a story about going to the concert-all these can be useful.Hope it will be interesting to do this test. 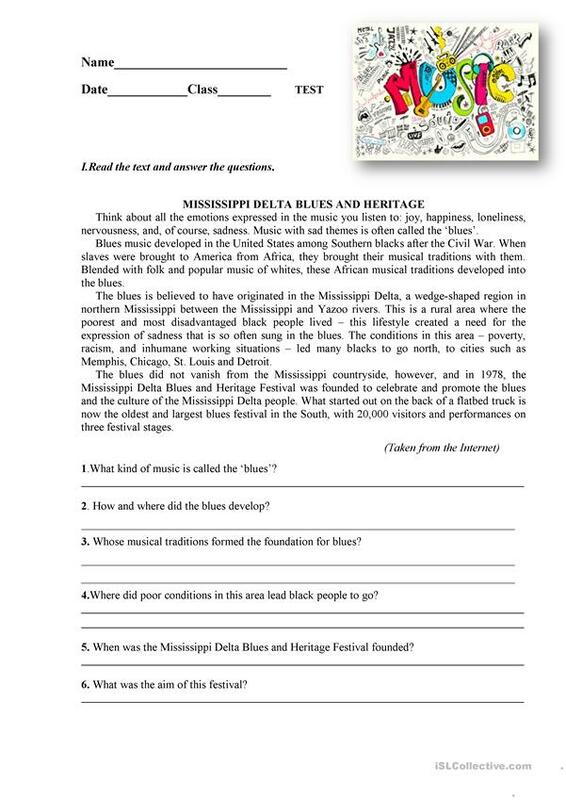 The present downloadable worksheet is a great resource for high school students at Pre-intermediate (A2) and Intermediate (B1) level. It is a useful material for teaching Passive voice or active voice in English, and was designed for improving your learners' Reading and Writing skills. It is focused on the theme of Music.